Over the last couple months, I’ve done a fair bit of traveling. Some for fun, but even more for work. Most are quick trips that don’t keep me from my routine for long, but even a two-day trip can tire you out and mess up workout routines. I have been doing some new workouts (more on that soon) a few days a week that leave me pretty sore, so when I’ve been traveling I haven’t been hankering for a super long, intense workout. Plus, when you’re just doing carry-on luggage, you don’t have a tone of room for extra workout gear. So, I reached into my favorite mental bag of HIIT exercises and put together this 10-12 minute workout that is challenging enough, but not anything I even needed sneakers for (naked feet!). And it doesn’t demand too much room you don’t even have to leave your hotel room! I do some basic stretches before and after this workout and am able to be in the shower just 20 mins after waking up and working out. Not too shabby. Like I said, it’s great for traveling, but you could do this at home or anywhere! Next time you think you don’t have time or have limited workout resources, try this, or a modification of this HIIT workout and you won’t have to regret missing out on anything. 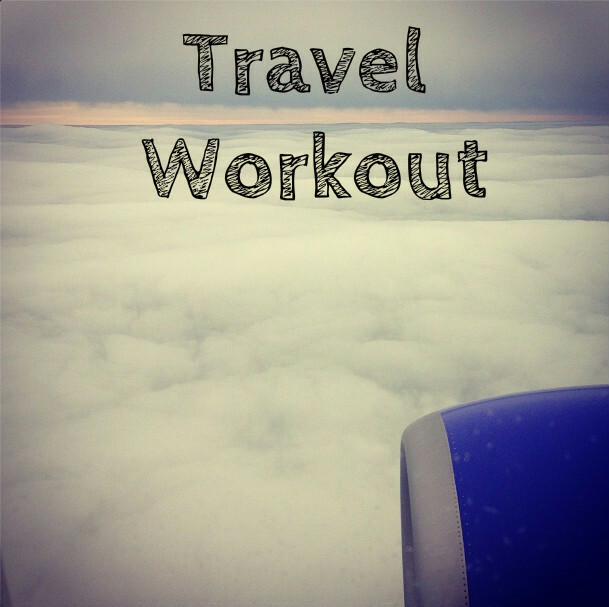 Do you workout when you travel?